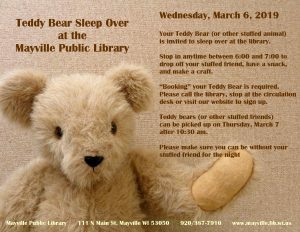 Your Teddy Bear or other stuffed animal friend is invited to over at the library. Stop in between 6:00 & 7:00 to drop your friend off, have a snack and make a craft. 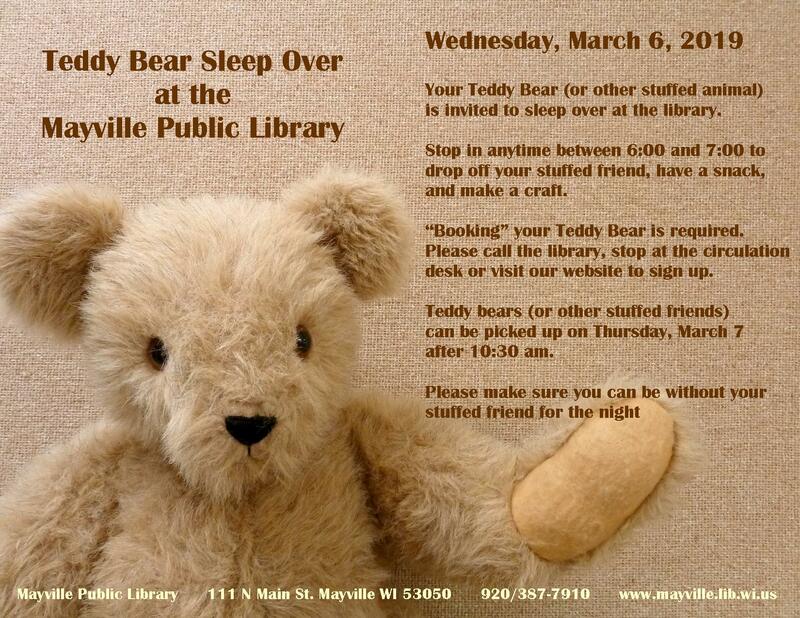 Pick up your stuffed friend anytime after 10:30 am on Thursday, March 7. Your friends do all sorts of fun things while they are at the sleepover. You will get a paper book showing you what they were up to! Sign up is required.